It's hard for me to admit, but I haven't seen any of the Chevy Chase Vacation films sans Christmas Vacation as the in-laws enjoy watching that every couple of years or so when Christmas in fact rolls around. I've seen bits and pieces of the original as well as parts of Vegas Vacation on TBS or TNT at some point in the past, but never have I sat down with the intention of watching any of these straight through. That looks as if it will change this year as Warner Bros. has decided to not necessarily reboot or re-make what you would typically label as a sequel, but kind of is, as it continues the story of the Griswolds, but more by treating us to the next generation of the family that started it all. Given I don't have as much of a history with this series I likely don't get some of the references or jokes that play in this trailer, but as it states outright this is a Vacation that will stand on its own and I can only hope it proves itself right. 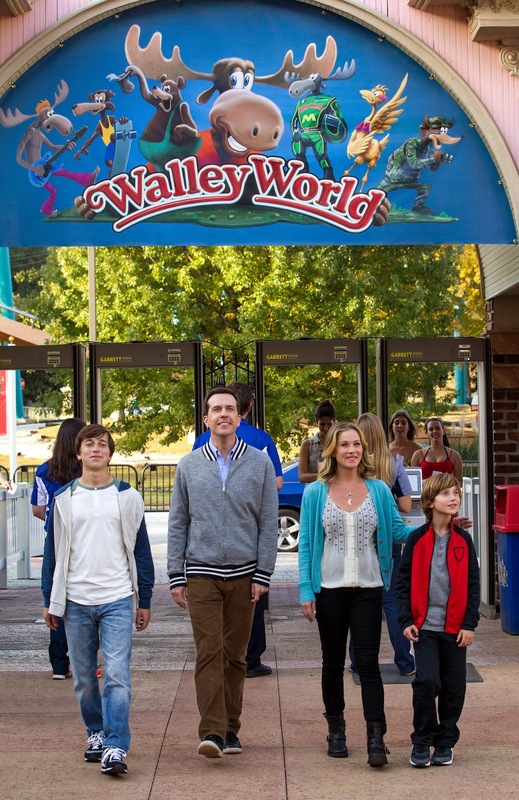 Ed Helms is playing the grown-up Rusty Griswold who is intent on picking his family up out of its current slump by recreating his childhood vacation to Walley World. Christina Applegate is playing his wife with Leslie Mann filling the role of sister Audrey. Both Chase and Beverly D'Angelo return as Clark and Ellen for what I assume are glorified cameos while Horrible Bosses and Cloudy with a Chance of Meatballs 2 scribes John Francis Daley and Jonathan Goldstein take on their first directing gig. Vacation also stars Chris Hemsworth, Steele Stebbins, Skyler Gisondo, Nick Kroll, Charlie Day, Kaitlin Olson, Regina Hall, Keegan-Michael Key and opens on July 31st. Synopsis: The next generation of Griswolds is at it again. New Line Cinema’s “Vacation,” starring Ed Helms (“The Hangover” films) and Christina Applegate (the “Anchorman” films), takes the family on the road for another ill-fated adventure. The film marks Jonathan Goldstein and John Francis Daley’s directorial debut. Following in his father’s footsteps and hoping for some much-needed family bonding, a grown-up Rusty Griswold (Helms) surprises his wife, Debbie (Applegate), and their two sons with a cross-country trip back to America’s “favorite family fun park,” Walley World. Rounding out the cast are Leslie Mann (“The Other Woman”) as Rusty’s sister, Audrey; Chris Hemsworth (the “Thor” films) in the role of Stone Crandall, Rusty’s irritatingly successful brother-in-law; and Skyler Gisondo (“Night at the Museum: Secret of the Tomb,” “Hard Sell”) and Steele Stebbins (“A Haunted House 2”), who play Rusty’s sons, James and Kevin. Chevy Chase and Beverly D’Angelo reprise their roles as Clark and Ellen Griswold from the classic “Vacation” comedies.